The passage of new legislation in a certain healthcare system can spark significant change processes in healthcare organizations, where local interpretations, sense making and inherent challenges affect what specific change practices are implemented. The Patient Protection and Affordable Care Act (PPACA), signed by President Barrack Obama on March 23, 2010, is the most significant piece of legislation in the history of American healthcare. Never before has a healthcare-related policy been so fiercely debated, widely beloved and vehemently opposed. The provisions of the act aim to expand coverage, control healthcare costs and improve the healthcare delivery system and therefore have many substantial implications on the way hospital systems provide healthcare services and the way they get paid for those services. Centres for Medicare and Medicaid (2013) [Online] Available from: http://www.cms.gov/Medicare/Quality-Initiatives-Patient-Assessment-Instruments/hospital-value-based-purchasing/index.html?redirect=/Hospital-Value-Based-Purchasing/[Accessed November 23rd, 2014]. Dunn, L. (2011) ‘From treating the sick to managing community health: hospitals’ new role in managing population health’, Becker’s Hospital Review. 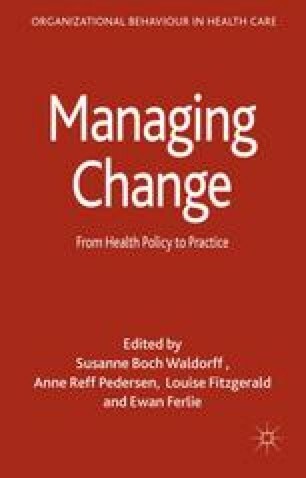 [Online] Available from: http://www.beckershospitalreview.com/hospital-management-administration/from-treating-the-sick-to-managing-community-health-hospitals-new-role-in-managing-population-health.html [Accessed November 11th, 2013]. Merchant Medicine (2015) [Online] Available from: http://www.merchantmedicine.com [Accessed Jan 21st, 2015]. Patient Protection and Affordable Care Act [Online] Available at: http://www.healthcare.gov/law/full/index.html [Accessed on December 15th, 2014].